Independence is not a narrow party political policy, it’s a value statement that I believe a majority of voters can relate to and (under the right circumstances) vote for. Traditional political party loyalty gets in the way, however, and large numbers of pro-independence voters and those that are undecided / convincible are not SNP supporters. This is plainly evident when you see that SNP support in Scottish Parliment voting intentions sits at around 38% and support of independence is at least 45%, and 49% under the right circumstances. This means that the idea of an SNP Government is less popular than independence and that maybe as much as 20% of independence supporters don’t support the SNP. That’s why I have always advocated that even though the SNP clearly must form the last Scottish Government before independence, they also must state in advance that they will seek to lead a Government of National Unity for the first post-independence government after the 2020 Scottish elections. I believe wholeheartedly that a Government of National Unity for at least five years after independence is necessary to guarantee a decisive Yes win. Some will say I am demanding a glorious sacrifice by the SNP, but I think it’s just common sense. The SNP is a broad church held together by the stickiness of the founding value of Scotland becoming a self-governing nation. Once that glue dissolves and the powers to alter the economic and social levers are in the hands of an independent Scottish Government, the SNP will begin the break into its constituent parts. For example, whereas I believe that both Mhairi Black and Fergus Ewing have Scotland’s best interests at heart, but will they still be in the same political party years after independence? Will Nicola Sturgeon and John Swinney? Will Alex Salmond and Nicola Sturgeon? I don’t know, but I do think that the SNP breaking in two to fight the 2025 elections is a strong possibility. A referendum won by Yes (hopefully in spring 2019) should be followed by a Scottish election where all candidates are challenged by the voters to state clearly that they will collaborate to do what is best for the newly independent Scotland. 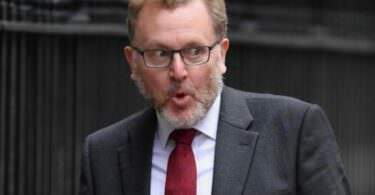 Hopefully those ultra unionists who have been holding Scotland back will either not be reselected, or if so will be soundly defeated, as why elect someone who is now politically irrelevant? Then a Government of National Unity, including members of the Greens, to lesser extent technocrats (lawyers, doctors, nurses, economists, teachers and financiers and others) and those within the three main unionist parties who are amenable to moving an independent Scotland forward should be formed. That Government’s job should be to create policies matching the values that will drive Scotland towards a greater shared prosperity and could deliver progress on a revolutionary scale, but through an evolutionary process combining the values of all sides on the old political spectrum. Five years later the new parties that will fight the next Scottish General Election will have emerged and this won’t alienate the people we need to persuade. Admittedly not everyone can be persuaded, but the vast majority (70%+) are at least willing to listen to the arguments if they included a politically unified government and pluralistic economic approach. Jim Sillars promised “a day of reckoning in 2014” but I would rather offer years of enlightenment and a truth and reconciliation style approach to those that vote No next time. A stark contrast to the broken promises of Better Together. For clarity, my suggestion is that after the Scottish elections in 2020 (which I hope will be the first in an independent Scotland) and assuming that the SNP win, they seek to lead the Government of National Unity with some of the Cabinet and lesser Ministerial positions having Greens, Labour, Tory and Lib dems (who have stated they will work for the good of the new independent Scotland) in positions. Then in 2025 we hold a SGE where the new parties contest it. There may or may not be an SNP still in existence at that point. Nor for that matter could we predict if Labour, Liberal and Conservatives parties would still exist 5 years after independence, I think only the Scottish Greens are a certainty. I am definitely not suggesting, as some SNP loyalists have claimed, that the SNP should disband, nor that anyone should abandon their party at the dawn of independence. I think it would be unthinkable for Nicola Sturgeon as the FM at the time of independence not to be the FM in the first independent parliament. I worry though that the fear of a one-party state led by the SNP may well be enough to stop 5-10% of the Scottish population from voting Yes. It may be that the only way to deliver independence is to ensure that people don’t fear that the referendum will lead to an almost unopposed SNP administration with 100+ seats. So what I am suggesting is a SNP led Government but with representation and input from right across the political spectrum so that no one feels isolated from, or oppressed by, the first Government of an independent Scotland. If we can learn anything from Brexit it’s that it’s not enough just to win the referendum, you have to have plan and win support and include others in your transition plans. Alex Salmond stated that the Scottish negotiation team would be cross party and expanding that idea into Government would avoid any potential backlash. I know I have not specifically ruled out people like Ruth Davidson, Willie Rennie, Jackie Baillie and Murdo Fraser and that will worry SNP and Green activists but I actually believe that independence will end the careers of such career unionist one trick ponies, and they won’t stand nor win if they do. However, I do know many Tories and Labour members who support independence, but are kept from standing, and former Tories who have even donated to the Yes movement after they switched to independence, but who will go back to a free market supporting party after independence. My point is that most of the potential switchers to independence don’t support the SNP, and the Yes movement can only be sure of victory if we promise to engage and involve, not cut them out of the decision making process afterwards. In other words, this helps deliver independence and the choice is not between an SNP Government post-independence or one of National Unity but of a Yes vote instead of a No vote. It may also stop those that vote No in the next referendum from forming a single ‘rejoin the union’ party or from causing unrest. I am working for a new Scotland. A new politics, preferably with pluralistic approaches to economics, but failing that I want to see a new kind of politician on the left and the right, ones motivated by moving Scotland forward and not holding it back. After independence (hopefully in 2019) those potential Yes voters on the left and right need know that if they take on and unseat the unionist naysayers in their parties then they will be engaged. I could very well go along with that Gordon , but politics as it has been practiced MUST end , no more taking the voters for fools , no more taking time off to engage in celeb shenanigans, there must be a proper RECALL law where politicians are held to account by the voters not their parties . I know that’s what g.e.’s are for but if a politician acts against the professional standards voters MUST have a right to sack them . I would also insist that deliberate lying to the electorate is made a criminal offence and anyone not willing to adhere to these conditions need not apply . Agree with all of that a new Scotland a new politics and a new standard too live up to. Speaking as an SNP member for 55 years (minus a few weeks), it has always been recognised that we cover the ‘orthodox’ political spectrum from right to left (hopefully excluding the extremes on both flanks). 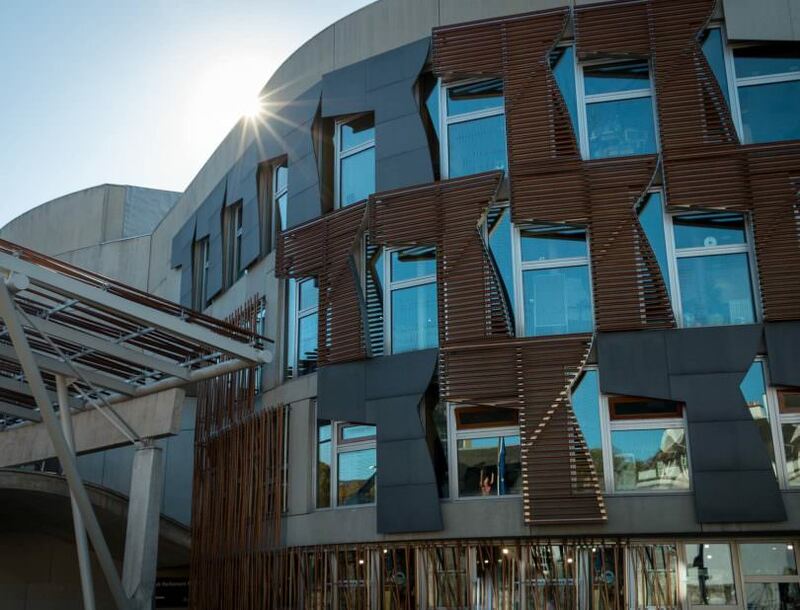 It has long been held that groups will leave the party after independence and form equivalents of Tory, Labour and Liberal parties, possibly by uniting with elements of these present-day parties which do not pursue a ‘re-Unionist’ agenda. About 1980 the party produced a paper on this topic noting that generally nationalist parties/movements tended to continue in states that gained independence, but elements split off to follow their own agendas. This being the case we’ll be following an established route. I think we will have to wait until after our first post-indy election has been held before any person, party or group can decide on a single party government or one of, ‘all the talents’. If we do things right and have a PR system then it may be that we are moving onto the territory where coalitions will be the normal, not the exception (as Holyrood was expected to be). Here and now we will have to keep explaining this scenario to the electorate, safe in the knowledge that the Unionist Triad will use every possible ‘Project Fear’ trick to persuade people that we are a dictatorship in waiting. On that, at least, we can count. There is a great deal of sense in this article. We will need to avoid the us and them mindset festering into a new Scottish state. The last thing we need is a triumphal SNP riding roughshod over everyone else. The hard bit is to tease out those from other parties that are willing to work positively as part of a National Unity government. Will they put their heads above the parapet or will they be afraid of having them chopped off. A name that springs to mind Is Henry McLeish. He and others might help form such a government. May, might, if – it’s all a bit speculative, unlike vote splitting strategies we have seen come and go in the past. No need to speculate on the effects of those. Let me summarise with a nice simple mantra – A vote for the SNP is a vote for Independence, a vote for Independence is not a vote for the SNP. Independence first, party politics second. P.S “one party state” sounds like something you’ve read in the papers. In Scotland we get the parliament we voted for, I think the one party state is the one we get in the UK, the one we didn’t vote for in Scotland. My point is the fear of a one party state real or not is a genuine fear for those that are indy but not SNP and thats enough votes to make a difference if you don’t get them on side. Excellent! New thinking, strategic and practical. More of the same will not do. Keep at this argument Gordon, it’s key to our future. I am with you all the way. Are you seriously suggesting that the party voted into office by the Scottish electorate share their mandate with the losers? Saddened to see you use the unionist ” fear of a one-party state” mantra. Yes I am deadly serious as it destroys the unionist “fear of a one-party state” mantra as a campaigning tool for them. If you read my articles over the next year I will demonstrate how to pull all the unionist claws out one by one. My point is if they don’t do this we may well struggle to win the referendum. The party would be the last elected government of the devolved parliament and of Scotland as a nation without statehood. Scotland would be starting anew and, as such, would need a new government. I think this is a great idea and could sway some soft no voters over to our side.